KOSCIUSKO — Two subjects were arrested after officers discovered methamphetamine in a residence while serving a warrant. 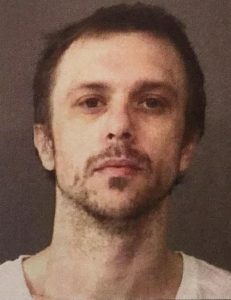 Shawn Richard Daniels, 36, 202 E. Borley Ave., Mishawaka, also showing an address of 18 EMS B5 Lane, Leesburg, is being charged with possession of methamphetamine, a level 6 felony; and possession of paraphernalia, a class C misdemeanor. 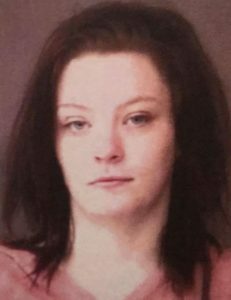 Angel Michelle Roberts, 19, 1692 E. CR 200N 164A, Warsaw, also showing an address of 18 EMS B5 Lane, Leesburg, is facing the same charges. On March 2, an officer with the Kosciusko County Sheriff’s Office went to a residence to serve an active felony arrest warrant for a male subject. Officers were allowed entry into the residence by the homeowner in order to search for the male. According to the affidavit of probable cause, officers checked the first bedroom of the residence and found two subjects, identified as Daniels and Roberts, sleeping. While identifying them, officers observed a clear glass smoking device with burnt residue on a nightstand in the bedroom. While speaking with Daniels, officers noticed his speech was slow and that he was visibly intoxicated. Roberts was also visibly intoxicated and after providing her personal information to officers, she went back to sleep. Daniels admitted to officers that he and Roberts smoked from the smoking device earlier that night. Officers also observed a plastic bag containing a clear crystal substance that tested positive for methamphetamine. Both Daniels and Roberts were booked in the Kosciusko County Jail on Thursday, April 11, each on a $5,250 surety and cash bond.